Donald Trump spoke in Portsmouth, N.H.
Tom Brady might be keeping quiet over his friendship and potential support for Donald Trump. Trump, however, is refusing to return the favor. At a New Hampshire rally on Saturday, the GOP nominee name-dropped the popular Patriots quarterback’s name, as well as that of New England’s venerable coach, Bill Belichick. 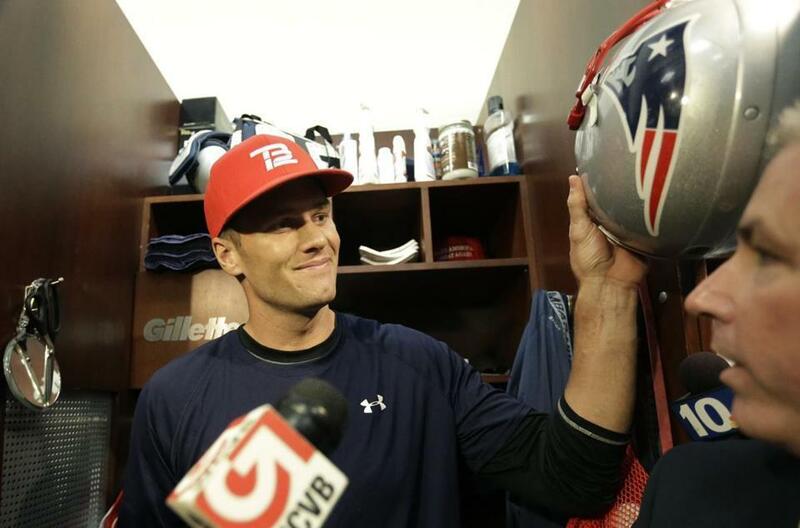 Trump was, of course, referring to how a “Make America Great Again” hat, featuring a campaign slogan for Trump, was seen in Brady’s locker last season. But if Brady is planning to vote for Trump, he’s not telling. The Patriots quarterback, who previously called the Republican presidential candidate a “good friend,” was asked this past Wednesday for his thoughts on the controversy swirling around Trump. “Tom, you have kids of your own. 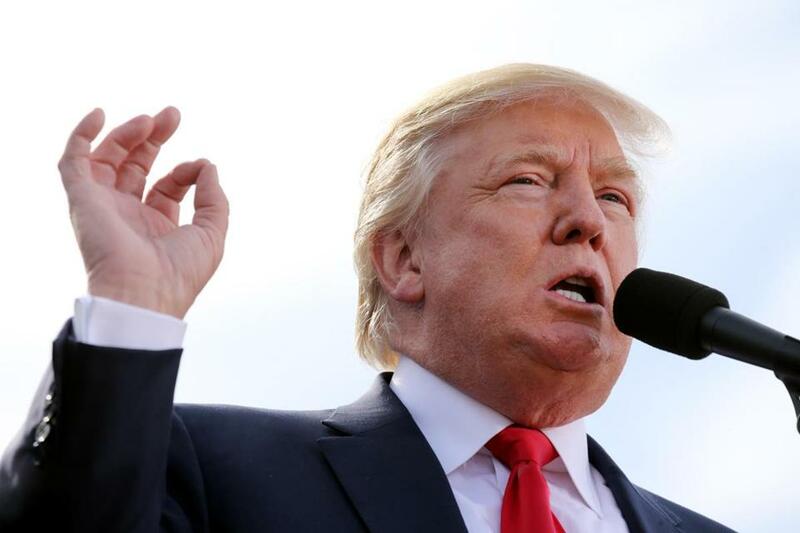 How would you respond if your kids heard Donald Trump’s version of ‘locker room talk?’” asked NECN reporter Jonathan Choe, referring to Trump’s characterization of the lewd and crude comments he made on a leaked video of an appearance on “Access Hollywood” a decade ago. Brady smiled but didn’t answer. And after winning the Republican primary in Massachusetts earlier this year, Trump said he credits his friendship with Brady. New England Patriots quarterback Tom Brady had a ‘‘Make America Great Again’’ hat from the Trump campaign in his locker in 2015.